These additional weights are especially developed for wrists - for strengthening additionally your arms and shoulders while exercising. The Kettler wrist weights have thumb loops and cannot slip off. Even when you stretch your arms upwards, the wrist weights keep their position. 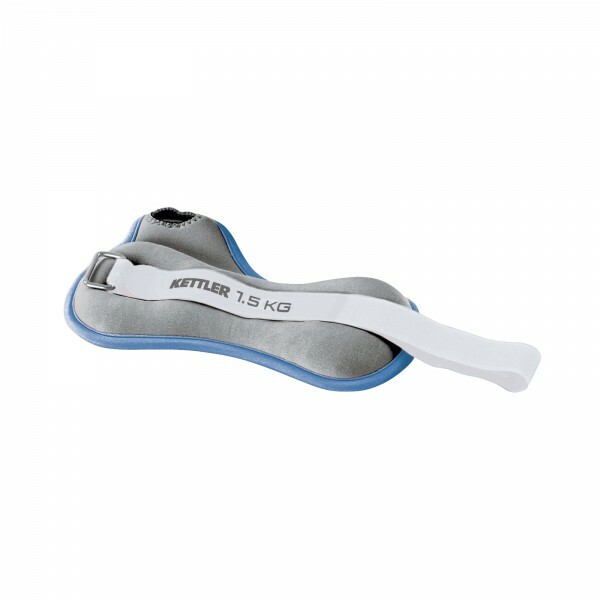 The wrist weights are of high comfort thanks to its material and are individually adjustable by a hook-and-loop fastener strap.